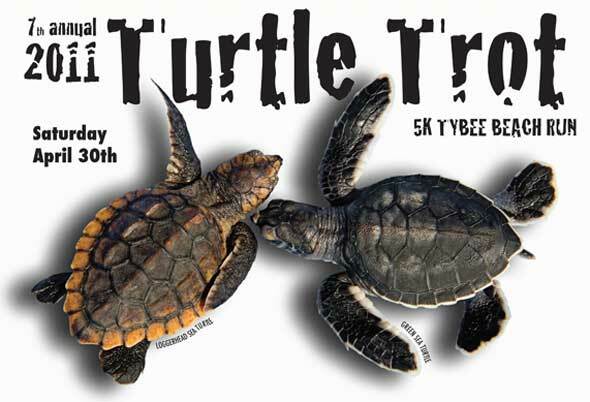 (TYBEE ISLAND, GA) The Ocean Plaza Beach Resort on Tybee Island is pleased to serve as Title Sponsor of the 7th annual Turtle Trot, a 5K beach run that benefits the Tybee Sea Turtle Project. This year’s run takes place Saturday, April 30 at 8:30 a.m. Immediately following the run, the Georgia Sea Turtle Center will deliver a rehabilitated sea turtle to Tybee Island, which will be released back into the ocean. In addition to raising funds for the Tybee Sea Turtle Project, proceeds from the Turtle Trot benefit the maintenance of the loggerhead hatchling housed at the Tybee Island Marine Science Center. During the months of May to October, loggerhead sea turtles nest on the beaches of Tybee Island. Sea Turtle Project volunteers check the beaches daily and protect the sites where the females have laid their eggs, ensuring that the hatchlings make their way safely to the sea. Spirides, a former U.S. Coast Guard officer, says he is impressed with the way the volunteers use an elaborate geographical tracking, reporting, and communication system to protect sea turtles. Over the past couple years, the Ocean Plaza Beach Resort and Tybee Island Marine Science Center, which are located next door to one another, have developed a close symbiotic relationship. The Ocean Plaza Beach Resort has also taken steps to help protect sea turtles by turning off porch lights on the top three floors of its hotel buildings, thus reducing area illumination and providing the darkness necessary for nesting sea turtles and their hatchlings. Whether it’s for weddings, business meetings, or family vacations, the Ocean Plaza Beach Resort offers a variety of packages and specials for customers to choose from. Ocean Plaza’s award-winning restaurant, the Dolphin Reef Oceanfront Restaurant and Bar, serves breakfast, lunch, and dinner. Its menu offers a fusion of American, Southern, and Caribbean cuisine. There has been a resort hotel continuously operating on the Ocean Plaza Resort property for more than 120 years. The property is located on Tybee Island, about 20 minutes east of historic downtown Savannah. For more information on the Ocean Plaza Beach Resort, call (912) 786-7777, email info@oceanplaza.com or visit www.oceanplaza.com.